Mathematics in Preschool, Kindergarten and Grade One, is all about building strong numeracy understanding and developing foundational skills that will prepare children for more complex math in years to come. What is numeracy? Alberta Education defines numeracy as the ability, confidence and willingness to engage with quantitative and spatial information, to make informed decisions in all aspects of daily living. Numeracy understanding is strengthened in the early school years by encouraging children to explore, experiment, and play. Rubber bugs are another one of our young students’ favourite math manipulatives. While they are playing with the toy caterpillars, ants and dragonflies, they are learning to count, sort and create pattern. They count how many legs are on the caterpillars, they tell their teachers “Butterflies are the smallest amount, we only have one!”, or “I need one more caterpillar so that I can have as many as my friend.” Students make a line of toy ants “walking” across the table top, often sorting them into a pattern of alternating colours. A child with more advanced skill in patterning would use the same manipulatives, but create a pattern of: ant, caterpillar, butterfly, ant, caterpillar, butterfly; or more advanced still: blue, blue, green, yellow, blue, blue, green, yellow. Board games and puzzles are also regularly found in classrooms in the early grades. They are fun hands-on tools used to teach and strengthen numeracy skills. Board games require counting and problem solving and can be used at various skill levels. 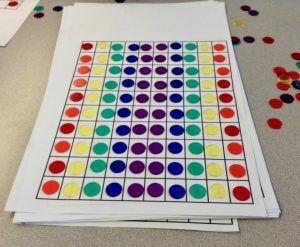 Rolling the dice in a board game, teaches children instant recognition of a set of numbers without counting. Puzzles teach size and shape as children try to fit pieces together. 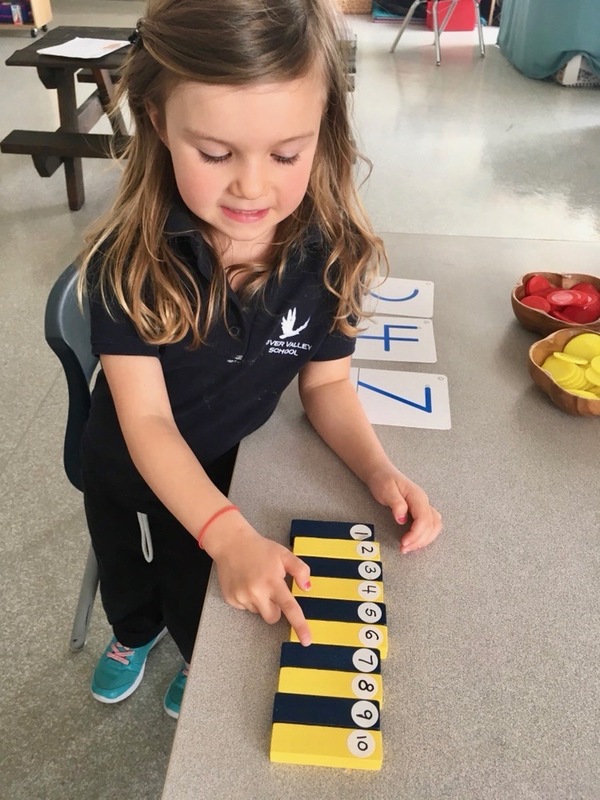 At River Valley School, we believe the freedom to explore through hands-on experimentation is key to developing the child’s innate love of learning and strengthening early numeracy.